Some bonding are eternal. One expects and hopes these to be between humans but it is often found to be more profoundly maintained between a man and his habit; his unconditional love for something he enjoys silently in his solitude. My perpetual love affair remains with my early morning tea that I enjoy making myself. Over the years, that affection has grown deeper and stronger to ultimately make us inseparable. Every morning, I enjoy the sight of the dry leaves divulge its flavour in to the boiling water. I take one last glance at the mixing before hurriedly closing the lid fearing it’s fragrance’s escape. Few impatient minutes pass by until I reappear before my beloved to add just the right amount of milk to enrich the flavour but to retain the essence. Some may disagree with the milk part and many might refuse the sugar. But in my opinion, they compliment the leaves like they were made for each other; to be united at my kitchen. A minute under the closed lid, a perfect melange appears and a perfect colour of a happy compromise emerges.Watching the morning news, as I take the first sip, it fills me with an aroma that takes me back in time, thus making me reminisce our several previous dates. I find myself transported to the backdoor steps of my Mangalore house, where I as a child enjoyed this special moment. Somewhere there our association had begun. My maternal grandmother had this rule at home - The first thing one gets at home after brushing their teeth would be a cup of tea and some snacks or a slice of bread to chew along with that blissful sip. My mother introduced that tradition in our house. A morning tea thus became an integral part of my life even before I knew what this relationship meant. On Sundays and during holidays, my paternal grandmother boosted my infatuation further by offering me the mid morning tea that she was accustomed to. 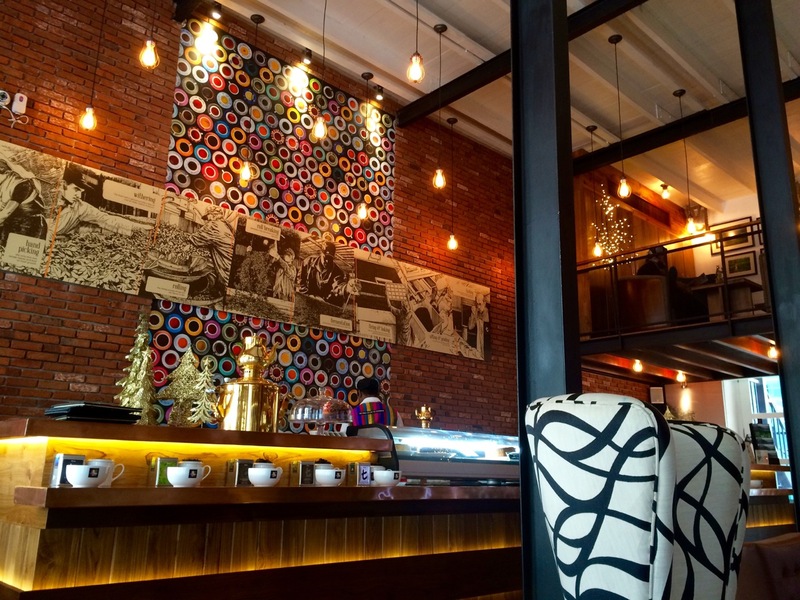 The evenings would end with another cup of tea with some tasty hot savouries specially relished during the Monsoon season while watching the rains soak our lush front yard. I also cherish some great tea moments with my Muslim neighbours. 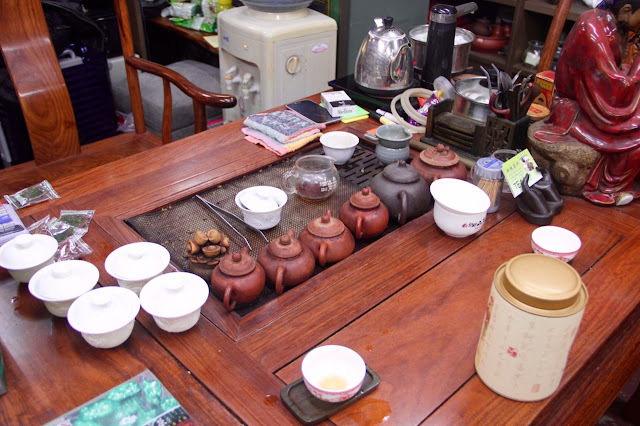 Everybody has their own style of tea making and the nuances are noticed when closely observed. I liked their tea a lot. But it always remained that early morning date, which I relished the most and could not refuse it even when I had to travel alone to other cities. Whether it is in those lonely rooms of Bangalore or in the US, this lovely relationship was never abandoned. There always had to be a cup of tea in my hand before I can think of anything else. 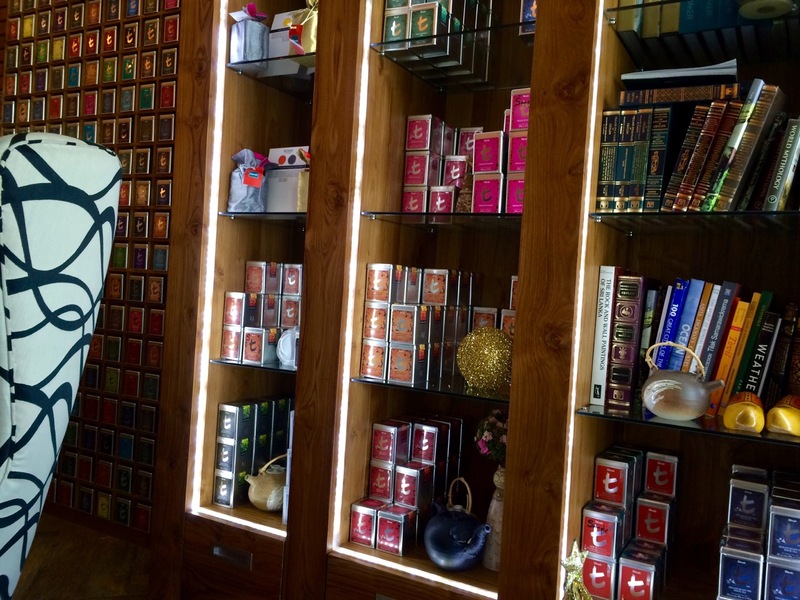 When I am traveling in a different city or country, I always step out of my hotel to a local tea stall and I find myself privileged to be amongst many like minded lovers who are immersed in this enjoyable and unavoidable morning date. 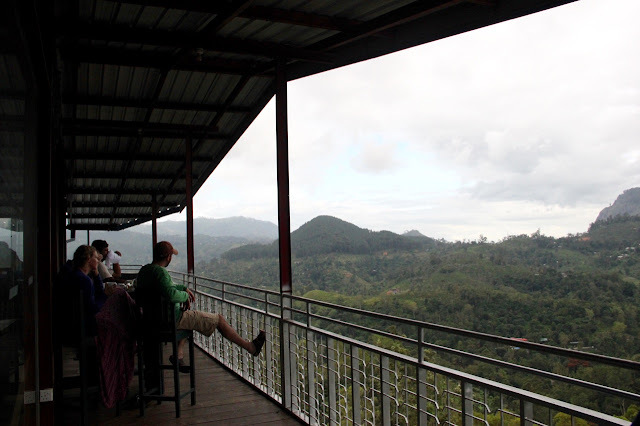 But, I must say that my affair elevated to its highest level when I met my soulmate in Ceylon tea. 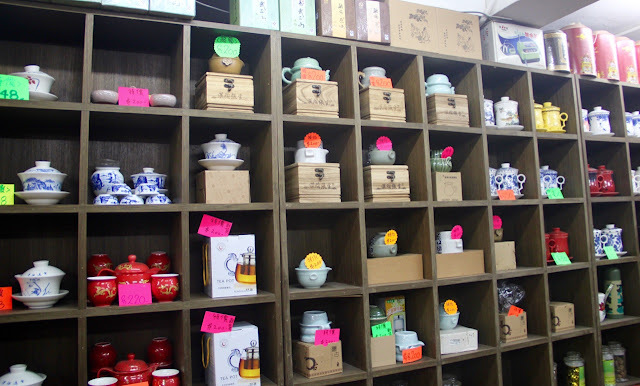 I was introduced to Ceylon tea in Hong Kong youth hostel where I stayed. 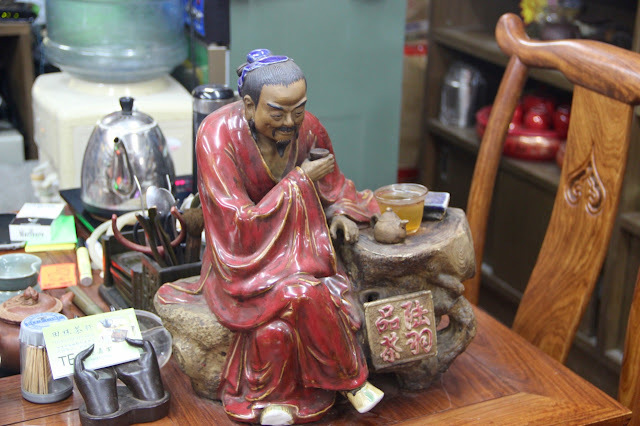 While, I was there, I also visited a lovely all-tea shop and bought a mud pot to enrich my tea drinking experience. For the first time I saw how there could be a store only dedicated to tea and there were a bunch of crazy lovers like me. I did try a lot of Chinese tea but none fit my taste. 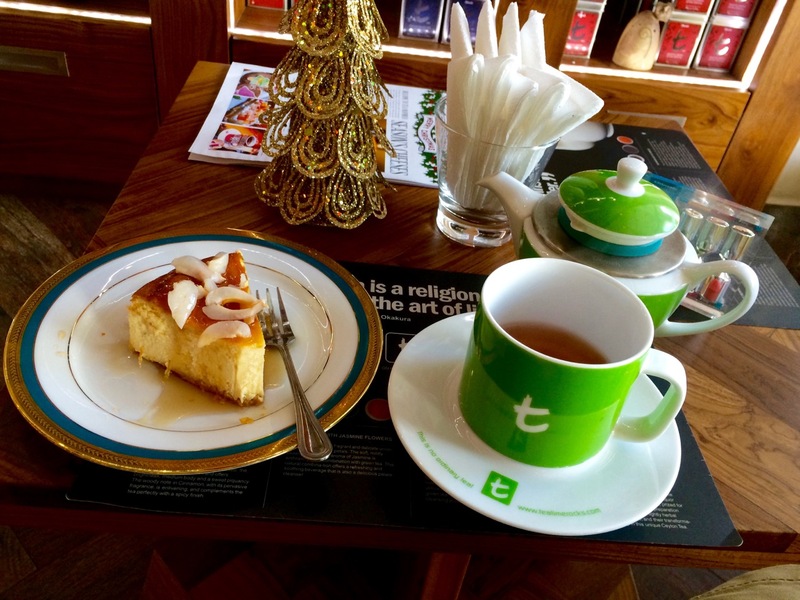 After returning to India, I totally forgot about this encounter with Ceylon tea and continued with my Indian flavours. It was in last December that my backpacking trip to Sri Lanka turned this infatuation into a true love affair. Ceylon tea was nothing like what I had tasted before. I was so fascinated by its natural flavour that during my travles in the country, I would have several cups of tea in a day. For the first time, I enjoyed black tea, lime tea, flavoured tea (Apple, Strawberry, Litchi etc) and the mild citric taste of Ceylon tea made this a refined experience. I had after all found my true love. 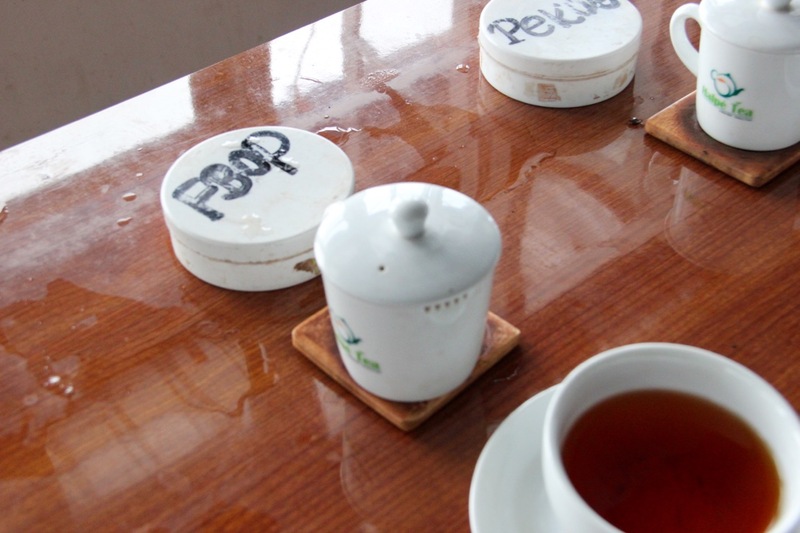 Moreover, a visit to a tea factory in Ella made me understand the different grades of tea (Pekoe, BOP, FBOP etc) thus allowing me to choose the right type of leaves for the respective tea I was preparing (With or without milk). My romance with tea has thus found a delightful conclusion. Being aware of the fact that though we cannot be certain about our emotions towards another individual, I can affirm that this sentiment I share for tea is eternal. Sitting in a tea shop in Colombo, I enjoyed my almond tea along with a cheese cake. That was one royal date we were on. My morning dates were often accompanied by other guests, such as snacks, savouries or biscuits; special Mangalore Sonte (A local snack made of friend sweet potatoes). These have lately been replaced by more healthier options such as Almonds, Pistachio and walnuts. But after all the tea is what that is the most important part of this date. And Ceylon tea has brought the right aroma into my life that no human can perhaps bring. Fortunately, there is at least one true affair to cherish in a lifetime. "Dunking means lowering the biscuit into the tea and letting it soak in there and trying to calculate the exact moment before the biscuit dissolves, when you whip it up into your mouth and enjoy the blissful union of biscuits and tea combined. It's more relaxing than it sounds." When there is a Bollywood film that breaks the cliché and attempts to create something fresh and also scintillating at the same time, it becomes more than worth for a serious review. 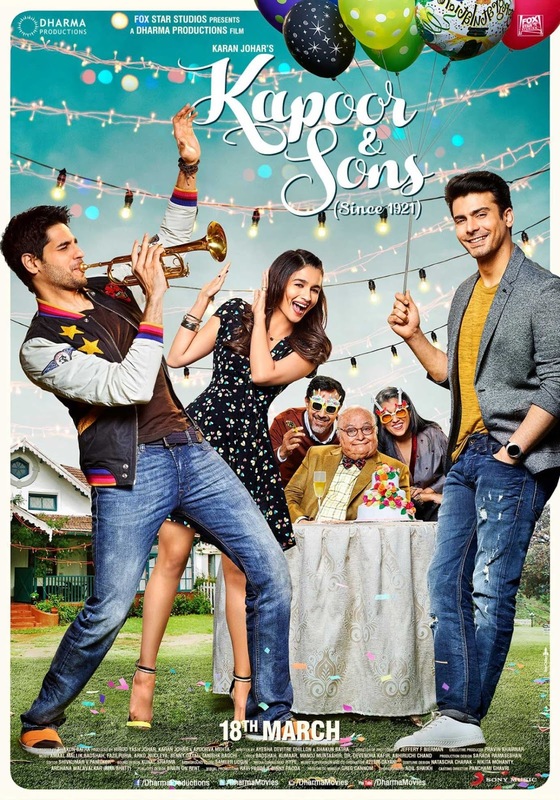 My 15 year old niece who lives in Mumbai visited us for a couple of days in March and she wanted to watch "Kapoor and Sons." Why? Because, her friends back home had decided to watch it that same weekend. That is how, I came to watch this movie which otherwise, I would have deliberately ignored considering it to be one of those typical romantic commercial Hindi movies. So, going without expectations made this viewing even more delightful. For years, Bollywood has clung on to similar storylines. Serious and realistic subjects are either dealt diplomatically or made into a slow and sedating art film which not only requires immense patience but also mandates avidity. After all, not everyone can make enjoyable non-commercial movies like Shyam Benegal, Girish Kasarvali or Anurag Kashyap. In the recent past, there have been some attempts to make a commercial film more meaningful but, most of them tend to loose it to some form of over dramatisation to woe the audience. That is exactly where the movie, "Kapoor and sons" stands out. It is a perfect blend of relevant themes and entertainment, garnished with just the right amount of dramatisation required to keep the viewers intrigued. Spoiler Alert! If you have not watched the movie, please do so before reading this. Even though it is not a murder mystery, it is no less than a thriller that reveals some of the key notes in the end, thus bringing the story to a comprehensible conclusion. Biased parenting - Parents often, knowingly or unknowingly, commit one of the worst blunders during upbringing. They assume favourites. And as the children grow up, that affinity towards one child over the other only escalates. This is often seen in almost every family and becomes a reason for many kids turning rebellious in nature or looking out for the missing attention and love elsewhere. Not only does this cause sibling rivalry but also develops a sense of inferiority in the neglected child. It is a much complex issue than one would imagine and the story loudly and clearly puts it through. Sibling Rivalry - As indicated earlier, one of the main causes of sibling rivalry is biased parenting. But it could also occur due to jealousy. However, in this case, it is the former. There have been several hollywood films on this theme but it remains fairly new to Bollywood. Sometimes, it appears that the parents deliberately fuel this rivalry to seek attention from both children. Parental Expectations - "The Perfect Bachaa" tag is a very integral part of an Indian family. Every Indian parents want their son or daughter to be that perfect child. They must have the perfect education or perfect job, perfect behaviour and mannerisms, perfect family and so on. That list would never end. And often, kids find themselves suffocating under these expectations, specially if they fail to fulfil them. And one day, all that frustration explodes and in an outburst, the child would reveal to the parents that after all, he/she is not as perfect as they would want him/her to be and they do not want to be perfect in the first place. Since childhood, the Indian kids are groomed to be the perfect, specially by their mothers, like in the film. Identity - Indian cinema has often stuck to the cliché of over feminising the homosexuals. Thus reducing homosexuals into a cheap joke. This movie does justice to the LGBT community and represents the people who succumb to the societal pressures and loose their own identity. Indian society is still far from accepting homosexuals and many like Rahul hesitate to come out of the closet and express themselves openly. Infidelity - Infidelity has always existed in the Indian society; whether we wish to accept it or not. Many movies have argued about its legitimacy but its high time that we learn to deal with it. This story makes an attempt to explore the actions rather than debating the subject itself. All the characters in this movie seem real. They are as much flawed as we all are. And thus it makes it so interesting. Because without flaws there cannot be problems, and for those problems one needs to find solutions and thus the characters evolve in the end. The best character in the movie is undoubtedly Rahul, who is balancing his life between parental expectations and personal desires. He is complex beyond imagination because he has to constantly pretend to be someone else. That makes him unusually rude at times when he displays his frustration. I think, the character of the mother is also very carefully etched. A mix of emotions rule her; her disapproval and arrogance towards the husband, her love towards the children and her biased nature. Arjun is one of the most sympathised character until the climax as he yearns to gain affection and appreciation from his parents. He is clearly a spoilt child of the house, a rebel evolved out of biased parenting. Tia too seems like a very impressive character who is witty and playful but not forcibly so. She is sensible when required and perhaps lightens her mood to escape the deep regret and sorrow she silently suffers. I strongly feel that this is one of the best screenplays I have seen in the recent times. Being a writer myself, I could greatly appreciate the three-act structure in the film. The characters and the problem are introduced in the first act, the problem aggravates in the second and there is a conclusion and development in each character, in the final act. But, the strength of this screenplay is its crispness and its intense long scenes. It is very interesting to observe how the tension builds up in the house during the presence of the plumber. The scene takes of from being a normal day at home to a very intense dispute between everyone in the family. And that change is gradual and does not look like a force fit. The scene at the birthday party and the final long shot with series of revelation are two great examples of interesting and captivating screenplay. Director, Shakun Batra seems to choose a lot of natural lighting and it perfectly suits the story line. This is one film where you cannot pick one best performance. This movie has the best star cast I have seen lately. But, despite that, If I have to pick one performance, it would be that of Ratna Patak. A seasoned actor that she is, she masterfully executes her complex role that displays multitude of emotions; that of a caring mother, a nagging wife, a home maker and a woman eager to pursue her ambitions. She seems effortless in every scene and appears extremely natural. She truly becomes the character and you can hardly see in her the humorous and witty Sarabhai or the naive Malti from the film Mandi. Very few actors can really do that. Rajat Kapoor compliments her with a very elegant and again effortless performance. In a very brief role that mostly emanates a thoughtful silence, he conveys a lot of emotions. Rishi Kapoor as the grandfather breaths life into the movie as and when it becomes a little serious. There is not a single flaw with his comedy timing and dialogue delivery. 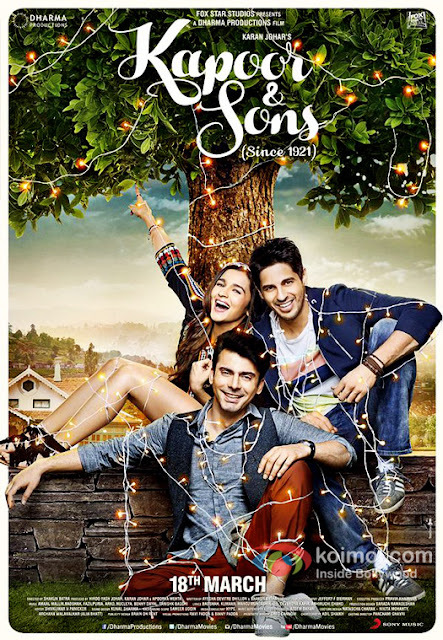 Coming to the three young performers in the movie who cannot be compared with the above - Alia bhatt enters the story like a fresh breeze and she elevates the story to more romantic and comedy tone. Since her first film, I have been a fan of her acting so my review on her might be a little biased. She is extremely spontaneous and natural in her acting, which reminds me of my favourite actress Kajol. Whether it is her prankster role at the restaurant or the emotional outburst on her birthday, she gives a very believable performance. Fawad Khan as the elder son seems to steal the sympathy and the applause for being extremely convincing in his role. It is quiet interesting to watch his voice modulation depending on the mood and the tone. He is mostly calm in nature per the character but occasionally displays this vicious anger in him. His expressions and voice perfectly modulate to match the emotion. However, occasionally, I felt that he was a little over expressive. I also found his introduction scene a little unbelievable. His English accent and smile seems pretentious. However, he is one actor to look out for and his powerful performance is specially felt in the scenes towards the climax where he very convincingly expresses his anger, sadness and helplessness. Siddarth was a pleasant surprise for me in this film. When, I had watched "Student of the year", I had clearly noticed a superstar in both Varun and Alia. Though Siddarth was not bad in the film, I remained a little skeptical about Siddarth’s performance. It was a great debut but it seemed less believable. But, with K&S, he breaks that barrier and gives his best performance till date. A sense of maturity is clearly noticed in his acting. Apart from these lead actors, the supporting cast also leaves behind some impressionable moments despite their short screen time. May it be Wasim, Googly, the plumber or Kishore, they all leave back a memorable performance. Though, having raved so much about the movie for its fresh feel, I would like to clarify that this is only true to Bollywood and not otherwise. The movie and its treatment, also its screenplay is not very unique or original. 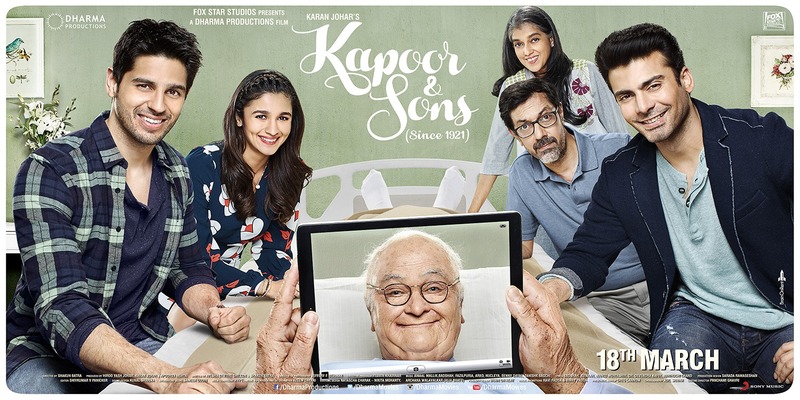 There is an alarming similarity between "Kapoor and Sons" and 2008 film "Rachel Getting married." In the later, the story revolves around a very similar dysfunctional family and two sisters reunite after a few years. The themes are very similar to K&S, such as sibling rivalry, biased parenting and family secrets that haunt the kids as they grow up. But what is strikingly similar is the screenplay. The long shots with continuous conversation between the characters, that was the highlight of the movie seems very similar to that in the movie "Rachel getting married." However, K&S improvises on it to make it more interesting, thanks to the element of suspense in the story. Another scene that I believe has been copied directly from a 2005 movie called "London" is the one where Tia, Arjun and Wasim converse with each other in a restroom. However, in the movie London, two guys gatecrash a party and not wiling to meet the people, try drugs in the restroom. They begin discussing various general topics. Many people walk in and out of the restroom and get dragged into the conversation. Long conversations between characters who do not necessarily agree with each other is also a key feature in this film. So, to say that "K&S" is completely original would not be right. It probably does take inspiration from other movies. Nevertheless, it shall remain a cult film in Indian cinema. It takes a heart warming story with some beautifully etched characters and brilliantly turns it into an enjoyable viewing. Hence, despite the similarities with the other films that I mentioned above, I think that the movie is extremely well made and executed with brilliance. I might be completely wrong about the similarities and it could have been a mere coincidence but either ways, it only enriches the viewing of this incredible film. So, Go, Watch Again! Enjoy its brilliance!